Derek Jeter asked Marlins team president David Samson to fire special assistants Andre Dawson, Tony Perez, Jack McKeon, and Jeff Conine. This is after Jeter had told Samson he will not be back. 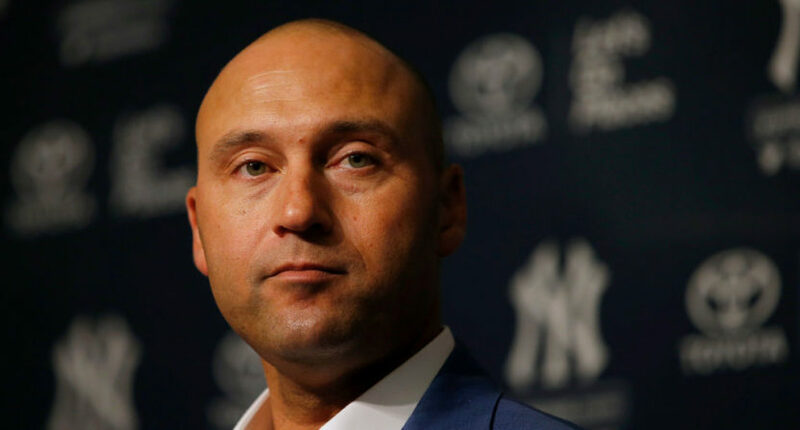 A group led by Derek Jeter is still waiting for approval from MLB to purchase the Miami Marlins, but that hasn’t stopped the former Yankees superstar from already firing four very popular members of the organization. Barry Jackson and Clark Spencer of the Miami Herald report that Hall of Famers Andre Dawson and Tony Perez, 2003 Marlins championship-winning manager Jack McKeon, and former longtime Marlins player Jeff Conine (“Mr. Marlin”) have been informed that they will not be back with the organization. And the worst part here? Jeter reportedly had current team president David Samson inform these people that they’re being fired. That’s the same David Samson that Jeter had already told will not be back. And here’s the twist: Jeter asked Marlins president David Samson to fire those four Marlins luminaries for him, because Jeter didn’t want to do it. Even more strange, Jeter made the request after telling Samson what he already knew: that Samson would not be returning as team president. So, Jeter had a guy he’s firing tell other people that they’re being fired, because he didn’t want to do it himself. That’s not a very good look, and certainly not a good way to get things started with a professional organization. Dawson, Perez, McKeon, and Conine were all serving as special assistants in the Marlins’ front office. It’s not at all that surprising that front office members were fired, as this is pretty normal when a new ownership comes in. They have “their” people and usually not many of the people from the previous regime stick around. However, already firing four legends of the organization whose roles are more to just be ambassadors for the ballclub than truly making front office decisions is a bit puzzling. And for Jeter to not just inform them himself is especially questionable.